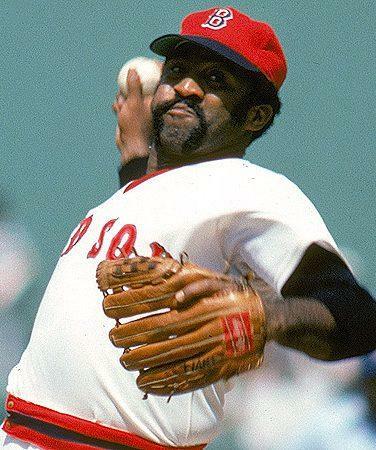 Luis Tiant appeared on the writers’ ballot 15 times, gaining as much as 30.9% of the vote. 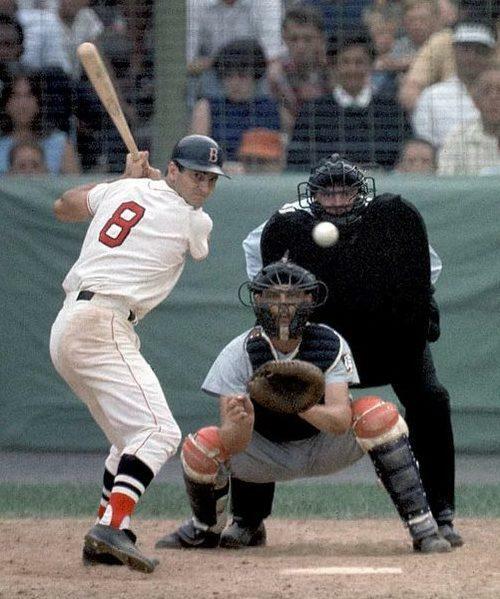 He was voted into the Red Sox Hall of Fame in 1997. A 19-year Major League career is bound to produce a few baseball cards. Shown here are six Topps cards from throughout Luis Tiant’s career. Featured are cards from 1966, 1968, 1969, 1970, 1981, and 1983. 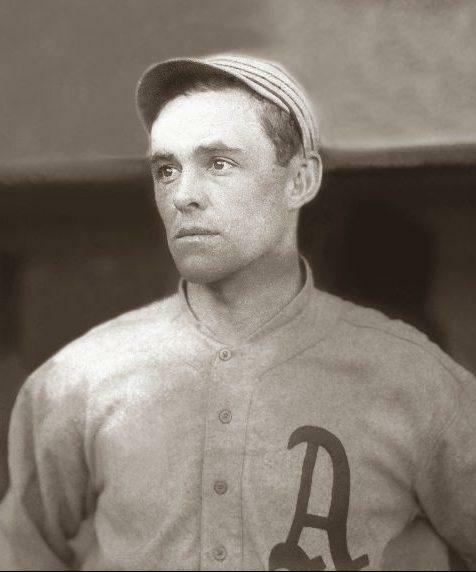 Interestingly Tiant is pictures with the Indians, Twins, Yankees, and Angels, but not the team that inducted him into their Hall of Fame — the Boston Red Sox. 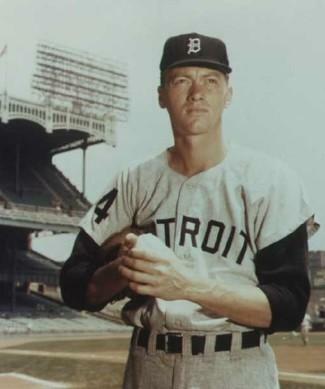 Tiant was a four-time 20-game winner who posted 229 career victories. 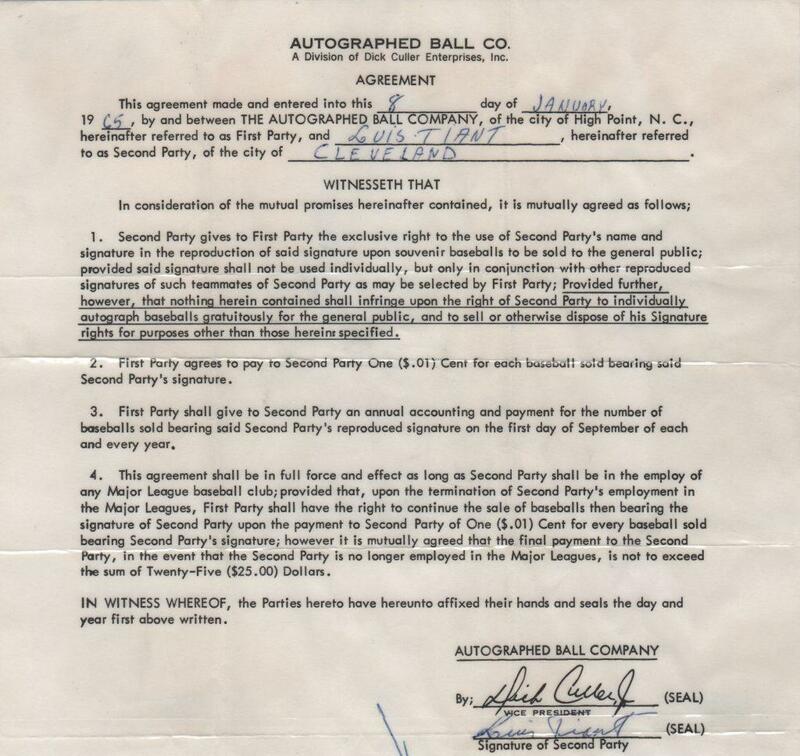 Luis Tiant signed this contract with the Autographed Ball Company just ten games into his career. 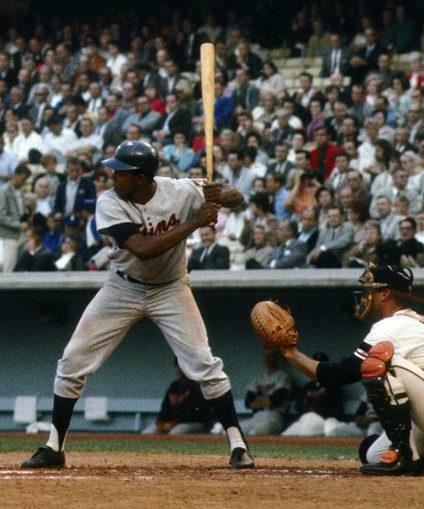 After making his debut on July 19, 1964, Tiant pitched in 19 games for the Cleveland Indians. 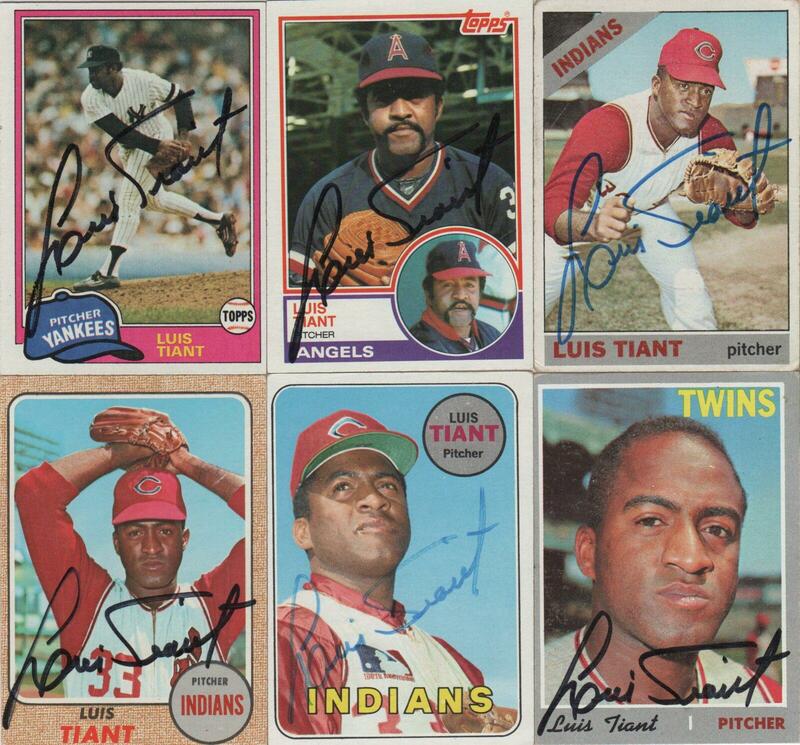 The following January Tiant agreed to have his signature appear on souvenir baseballs with stamped autographs. 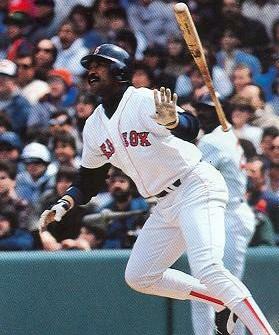 For this, Tiant was set to receive one cent per ball sold. Topps issued this card in 1983 showing Luis Tiant as a youngster with the Cleveland Indians and as a grizzled veteran in 1983 with the Indians. Tiant pitched for the Indians for six seasons highlighted the 1968 season in which he went 21-9 with a 1.60 ERA. His time with the Angels was less positive. 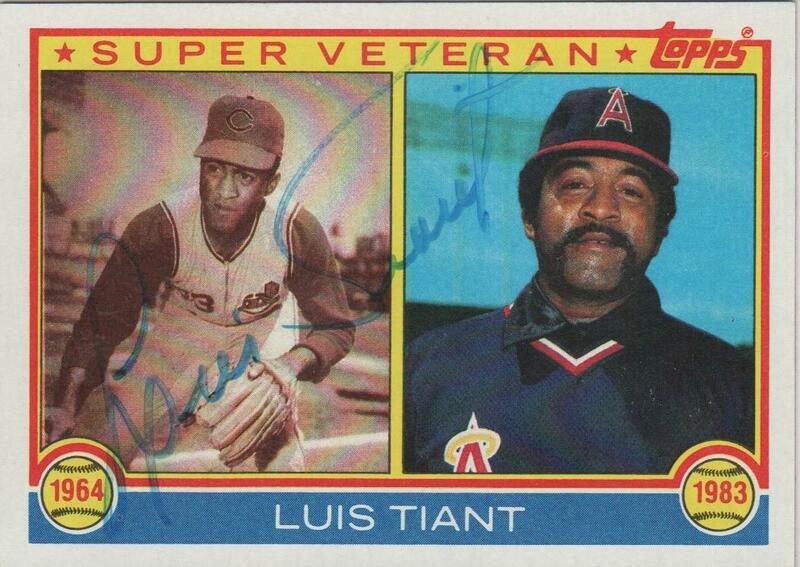 Topps issued this card in 1983 showing Luis Tiant as a youngster with the Cleveland Indians and as a grizzled veteran in 1983 with the Indians. Tiant pitched for the Indians for six seasons highlighted the 1968 season in which he went 21-9 with a 1.60 ERA. His time with the Angels was less positive. 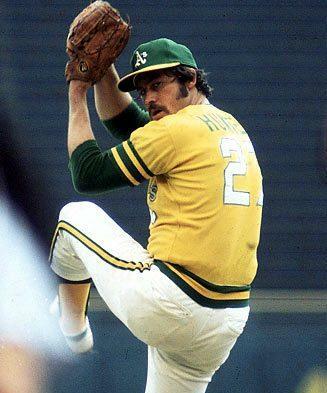 In his lone season of 1982 he appeared in six games, going 2-2 with a 5.76 ERA.